Paul started running distance in high school. It started with attending a cross-country meeting for a friend because he couldn't make it. Paul was there to take notes but left a member of the team. He ran on the varsity team for three years. Shortly after high school, Paul ran his first half marathon. A couple years later, his first two-day relay race. Soon after, his first marathon. Now he has run nearly 20 marathons and lost count of half marathons! Paul has made a goal to run a half marathon or full marathon in every state and so far has covered most western states. 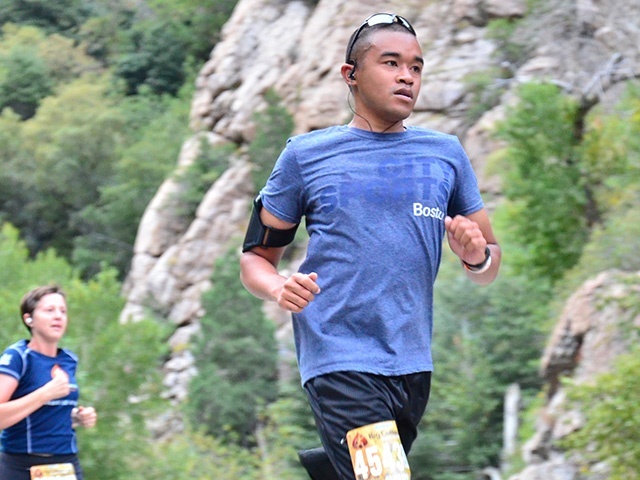 When Paul moved to Las Vegas, he fell in love with running in the desert. From Southern Utah to Phoenix, and New Mexico to California. He finds himself at peace amongst red rocks canyons, hiking trails, and sagebrushes.